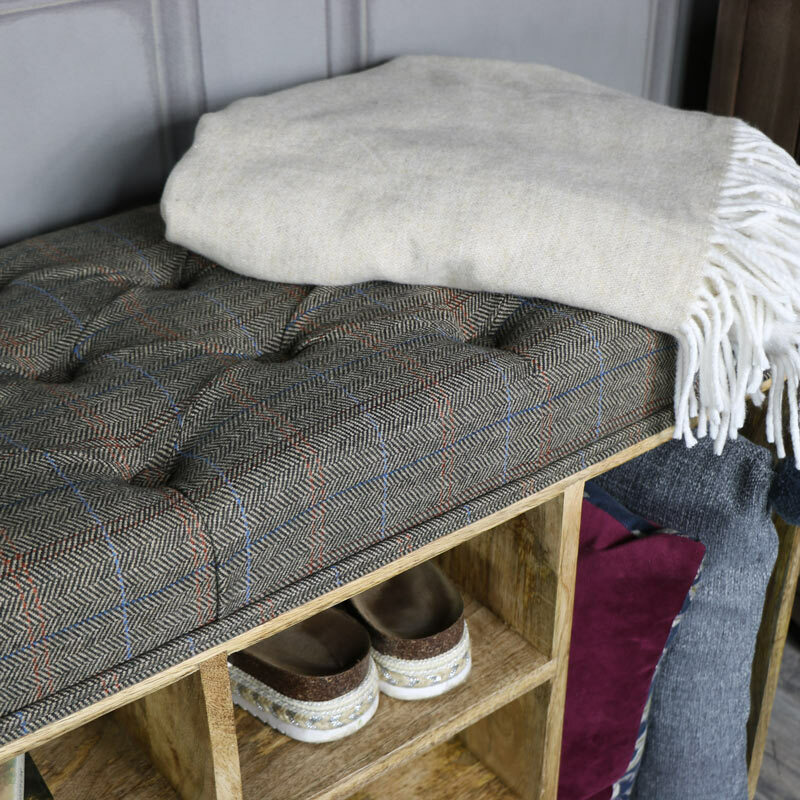 This bench is so practical and stylish, perfect storage and comfy seating for the hallway. 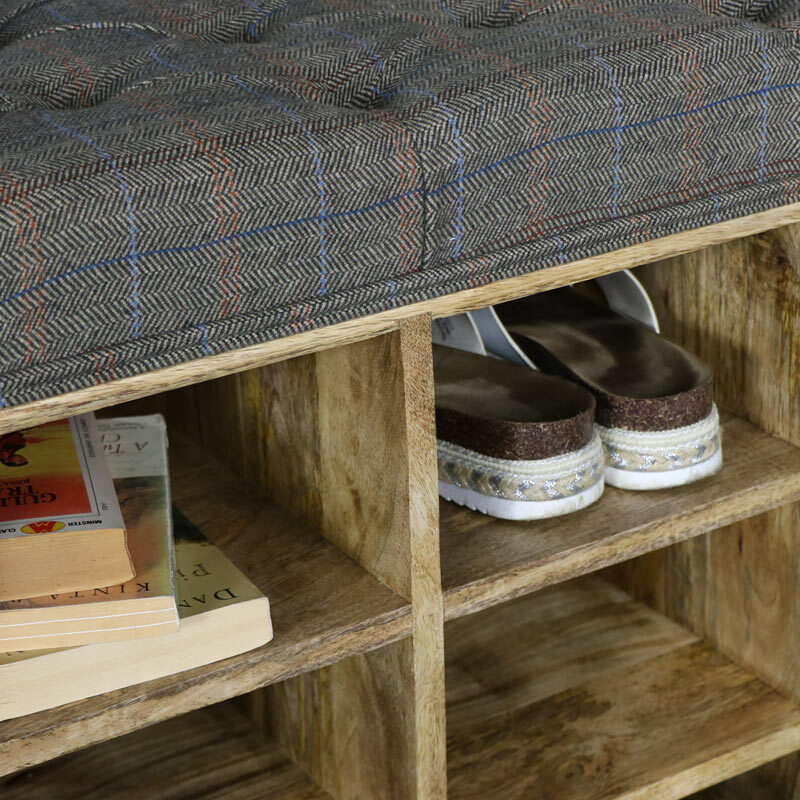 Constructed mango wood in a rustic finish with tweed upholstered seat, ideal for a rustic country cottage interior. Just the place you need to sit yourself down and put on or take off your shoes and boots. 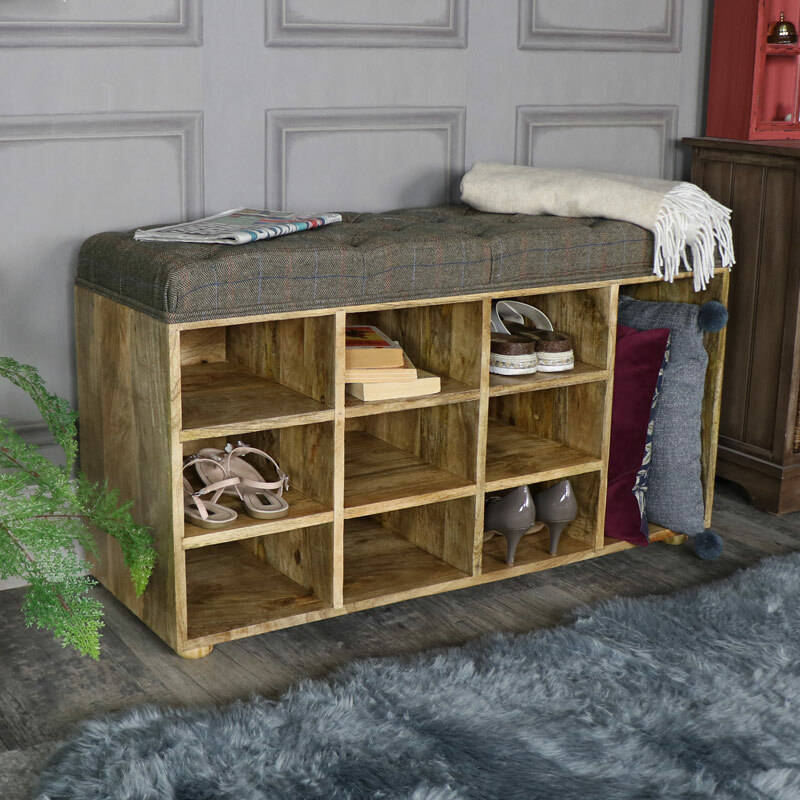 Comfortable seating with space for 9 pairs of shoes and a taller space for boots and wellingtons. Hand crafted from solid mango wood, the bench rests upon 4 round bun feet. This is a must have piece of furniture for your home, great for the hallway or porch. With a great range of furniture to choose from, you can furnish your home in just the style and colours you want. From rustic, retro and indistrial to the more vintage, French and country cottage look.